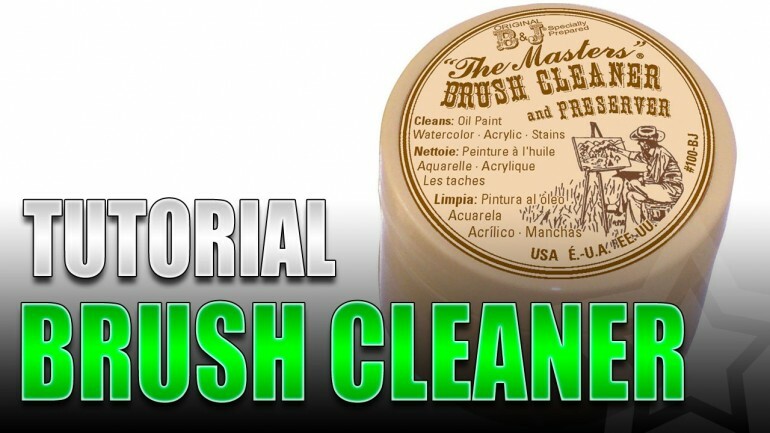 Proper brush care is something every hobbyist should do, and for that I recommend “The Masters” Brush Cleaner and Preserver. 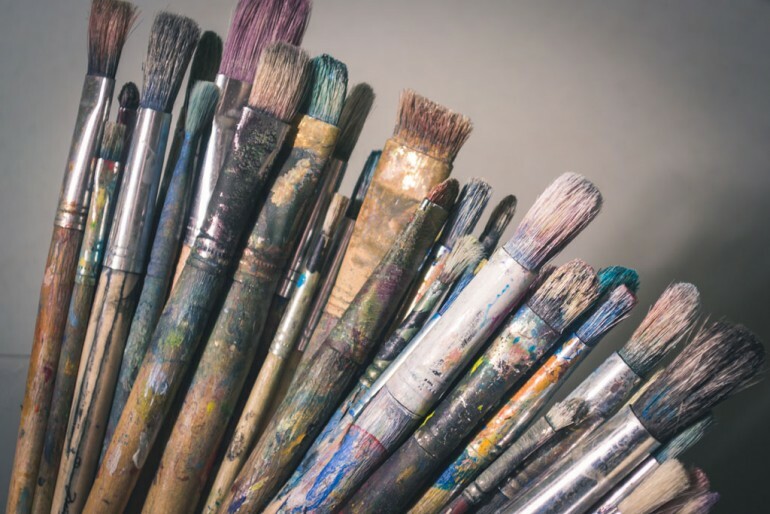 It only takes a few seconds to do and will increase the life of your brushes substantially. Not only that, but with proper care your brushes will perform their job better. Ever have a brush where the tip split down the middle? How about a brush where it wouldn’t hold a tip any more? Those are problems with improper brush care and where a good brush cleaner/soap comes in. This isn’t a heavy subject, so no sense blathering on and on, right? Right! So, how do you use this amazing stuff? Here’s the very simple instructions. Get the brush bristles soaking wet. Swirl the brush around in the soap to lather. Repeatedly wetting the brush may be needed. Rinse the brush in clean water. Dry off the brush on a paper towel. Repeat 1-4 as needed for heavier buildup. Generally speaking, I do this twice. I also have a video showing how simple this is. This is in the video too, but my little tip is that you can revive brush tips pretty easily with the brush soap. This is in the video too, but my little tip is that you can revive brush tips pretty easily with the brush cleaner. Wet the brush – Get the tip of the brush liberally wet. Apply soap – Swirl brush in soap lightly while rolling it to create a pointed tip on the brush. Dry – Set the brush aside and let the soap dry in the bristles. Rinse – Rinse off when you’re ready to paint. The soap will dry in the bristles while the brush has a fine point and in turn train the brush to have a fine tip. All you have to do is rinse it out in water like normal before you use it and the dried in soap will come out. Now you’ve got yourself a nice point on your brush. If you have a brush that’s persistently annoying, and still won’t hold a tip, then let it stay dried with the soap in it for a week or more. The longer you wait the more trained the bristles will be, and the more likely you’ll be to get it to hold a point again. “The Masters” Brush Cleaner and Preserver really does work amazingly well. I had a brush I was using for dry brushing and I forgot I had paint on it. So, the paint dried into the bristles and I noticed it a few days later when I went to use the brush again. So, I used the brush soap on it and was completely surprised to see that it got all that dried on paint off! It’s really only been recently that I discovered this brush cleaner and I wish I found it sooner. I can’t count how many brushes I’ve had to throw out over the years because of dried on paint. Same thing with brushes that have frayed on me and just worn out, all tossed out. Since I started using “The Masters” Brush Cleaner and Preserver, I haven’t thrown out a brush yet and it’s been a year at least. I know this stuff doesn’t make brushes immortal, but it damn sure feels like it at times. Using the brush soap is something that really only takes a few seconds to do, it’s really cheap to buy and will last you forever, and it will greatly improve your brushes. So, there’s no reason to not use it! I suggest at the end of every paint session, take a few minutes to clean the brushes you used. If you get in that habit then you’ll save yourself a lot of problems down the road. Also, check out my list of painting supplies everyone needs. Brush cleaner is just one of many on that list. I’m a big believer of using this soap too. Saved a few of my brushes. Especially those $20 ones!! I only wish I discovered it sooner.